107,552 in the Lewiston-Auburn Metro Area; 58,893 in the twin cities; second-largest metropolitan area in Maine. 40 minutes north of Portland; one hour from the ocean or mountains. Galleries and museums; a historical society; performing arts groups, including a classical music society and Equity theater. A downtown shopping area and several shopping centers; two multiplex cinemas; more than 80 restaurants, offering a wide variety of styles and cuisines. Four golf courses, 2,260-acre Lake Auburn, the Androscoggin River, several natural parks, freshwater beaches, and ski areas. Ranked the 31st healthiest community in the country by Business/Development Outlook, a trade magazine. Included among the major employment fields are health care, printing and graphics, banking, telemarketing and developing technologies. 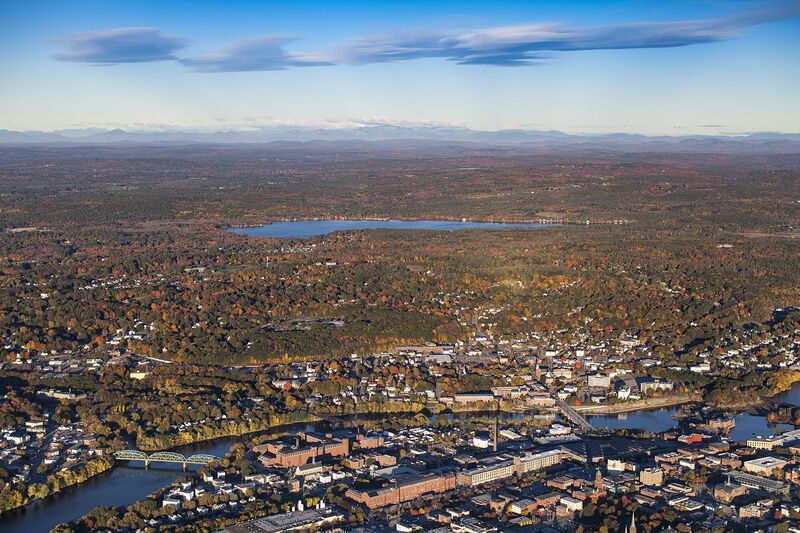 One of the attractions of Bates is the opportunity to live in Maine, which is known for its coast, north woods, mountains, lakes and rivers, as well as safe mid-sized cities and villages. Each of northern New England’s four seasons is distinct: crisp, colorful falls, snowy winters, fragrant springs and warm, verdant summers. Abundant options for recreation, entertainment, and community engagement lie nearby. Bates’ tree-shaded campus in Lewiston is equally handy to the rugged Maine coast, the White Mountains and the Lakes Region. The seaside city of Portland and Freeport, home of outdoor outfitter L.L. Bean, are each within a 45-minute drive. The 574-acre Bates-Morse Mountain Conservation Area, protecting rare salt marsh and dune beach ecologies, is a fertile resource for students engaged in scientific research and other education programs.